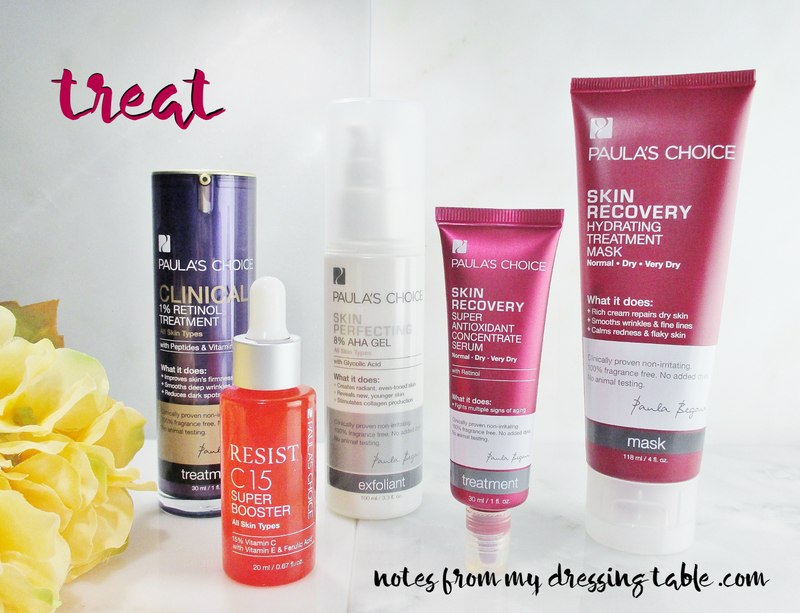 Paula's Choice Skin Care My Early Notes | Plus a Very Special 20% Off Offer! Skin care. You know how important I feel it is to take the best possible care we can of our skin. 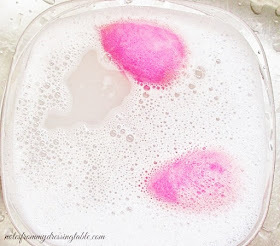 I know that I talk about skin care on this blog frequently. And for good reason. Gentle reader, if our skin care isn't on point, if we aren't caring for our complexion to the very best of our ability, it doesn't matter how much makeup we trowel onto our face, every morning. We are not going to look and feel our best. We just aren't. Today, it is my distinct pleasure to share with you my experience with a new to me skin care line. Paula's Choice Skin Care is the brain child of Paula Begoun, a woman who, like so many of us struggled with skin issues, battled with products that promised miracles and beautiful skin and let her down, hurt her skin and frustrated her, again and again. One day, at the age of 25, she carefully read the ingredients list of a skin care product she was using and discovered that it contained acetone. ACETONE! That is what we use to remove nail polish! Paula was horrified and from that moment on, she became a crusader, first for herself, reading all of the research she could, until she put together her best skin care routine. After transforming her own skin she began writing books and articles and going on TV shows to educate the public about ingredients in beauty products. In 1995 she developed her own skin care line. Skin care that is efficacious and gentle, in packaging that is sanitary, light and air safe and all of it wallet friendly. Paula's Choice Skin Care has an extensive selection of interchangeable products for everyone, teens to mature, women and men. Do you have oily, acne prone skin? Combo, fine lines, some sun damage? Dry, in need of need anti aging assistance? Perhaps your skin is mature, yet still oily, you have wrinkles, still some breakouts and need extra exfoliation? You get the idea. Each customer can curate their perfect skin care routine by picking and choosing what they need from each line. 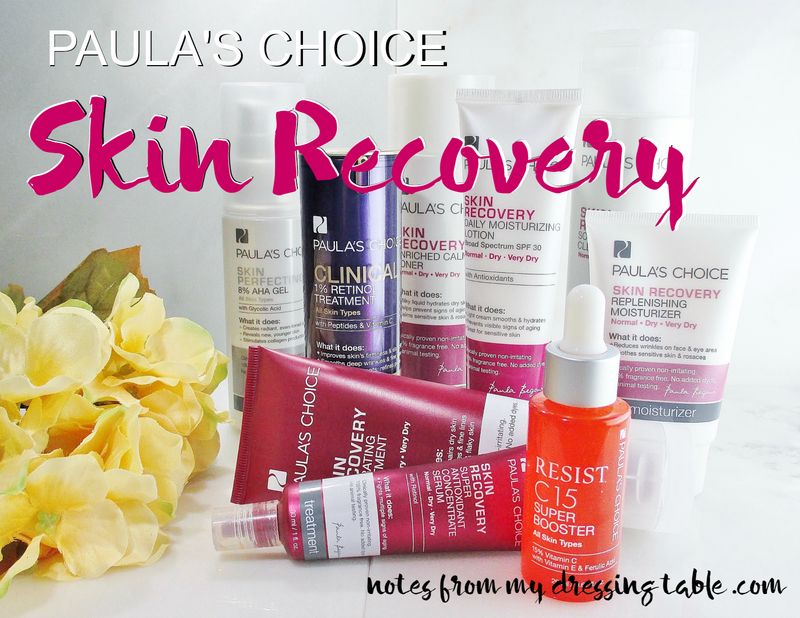 I started my Paula's Choice experience with a complimentary personalized skin care consultation over the phone. The consult took about five minutes, my representative was just as lovely as a soft Summer day, very helpful and knowledgeable and easy to talk to. She started by asking me some general questions about myself and my skin. My age, where I live, my skin type, concerns, goals. After I answered her questions and we chatted a bit, she curated a skin care collection that suits my skin very well, indeed. Shipping was fast! My new skin care landed on my doorstep in just a few days. I eagerly opened the box and got started right in. May I share my routine with you? I begin with cleansing. Skin Recovery Softening Cream Cleanser, $17.00. Designed to be cushioning and gentle enough for sensitive skin, dry, (hello!) redness, rosacea. I find that this cleanser does a very good job getting my skin fresh and clean and it works well with my sonic cleansing devices. It does leave my skin feeling a bit tight. But remember, I have really dry skin! Next, take a look at Skin Recovery Enriched Calming Toner, $20.00. This is a hydrating, milky toner, enriched with evening primrose and borage seed oils to help calm and hydrate dry skin. Honestly, I'm not much of a toner gal. I don't oppose it, I just rarely use it. If you like a nice, soothing toner, I can recommend this one, it is lovely. Let's talk treatments. To maximize my skin's potential, to help it look and feel it's absolute best, active ingredients are key, using them in concert give me the results I desire. I alternate treatments morning and evening, every other day. Resist C 15 Super Booster, $48.00. 15% Vitamin C fades brown spots, firms and brightens the complexion while the antioxidant properties help defend against photo aging. I apply, let it sink in while I blow my hair dry or play around on my phone or get dressed or what have you, then apply the rest of my skin care. One night, Clinical 1% Retinol Treatment, $55.00. This beautiful, effective anti aging treatment is for all skin types and is specially buffered with licorice and oat extracts to soothe and minimize irritation. Smooth this gel-creme over your skin and before you know it, you will be enjoying that good Retinol glow. The next night, bring on the Skin Perfecting 8% AHA Gel Exfoliant, $28, 00. Don't let 8% AHA scare you. While this gel exfoliant is powerful and effective, it hydrates and it is formulated to be non irritating. I don't experience any stinging, merely a soft warming sensation that fades after a couple of minutes. My skin gets a bit pink, then calms. I can feel it happening, it isn't uncomfortable, it doesn't hurt. When I want a pampering, super hydrating treat I lay on Skin Recovery Hydrating Treatment Mask, $21.00 and let the silky texture soak in and those antioxidants sooth and reduce inflammation while my skin drinks in that moisture. Moisturizer is next! For Day there is protection and hydration with Skin Recovery Daily Moisturizing Lotion SPF 30, $28.00. This lovely, smooth formula protects my skin with a chemical free SPF 30 sunscreen while it hydrates and looks smooth under makeup. At night, Skin Recovery Replenishing Moisturizer, $28.00. This silky stuff drops into my skin and deeply hydrates it with evening primrose and rich emollients. Soothing chamomile helps calm and repair. I am truly impressed with this brand of skin care. I have only been using it for a couple of weeks and I already know which of these products suit my skin perfectly and will be definite purchases, as soon as they start to run low. I can recommend this brand without reservation. If you would like a custom skin care routine curated just for your specific needs, you can shop Paula's Choice Skin Care, get full sized products and samples to try before you invest in full sizes, just to be sure they are right. I suggest calling 1-800-831-4088 and having a complimentary consultation with a skin care specialist. They can guide you to selecting the most effective products to help you achieve the best skin of your life. Paula's Choice Skin Care is cruelty free and formulated without dyes, perfumes and other irritating ingredients. As a Power Primper it is my privilege to offer my readers a very special 20% OFF and Free Shipping! 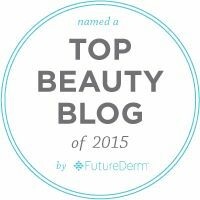 Use code PRIMPFALL20 by 12/31/15. CLICK HERE to shop and save. As a member or P.R.I.M.P. (Pretty in My Pocket) I'd like to share the link to download the Pretty in My Pocket app with you. You can get it for Android or iPhone. Join the Beautrocracy, Real Women, Real Pretty.